High pH Water, Is it Hype? Now he is a believer! Lately I have been getting many requests about the use of high alkaline water. Is it better for me, will it help heal or repair my illness etc… There are many theories and opinions about the benefits of drinking high alkaline water, in particular 9.5 pH water. Water is so important to our health I could write a book about the functions and health benefits of just water. So I am only going to discuss two claims regarding high Ph water. The high alkaline water community promotes devices through two basic health claims. They claim high pH alkaline water improves your health by increasing your alkaline state and by increasing your body’s cellular oxygen level through water/oxygen clustering. Without getting into a very long lecture in water and metabolic science, this is my opinion based on scientific facts. Just remember, every second the body is adjusting its pH to keep us alive. What Influences Our Bodies Alkaline State? 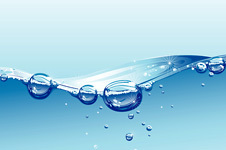 Everything we consume, even water is broken down to the very smallest molecule possible. This allows the body to repackage these molecules into other things. For example; when you eat protein from an animal or a vegetative food, the source doesn’t matter, the body through its incredible digestive system breaks the protein down to amino acids. 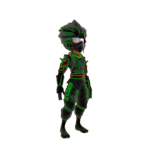 These join the bodies amino acid pool which consist of amino acids from our diet and recycled proteins the bodies disassembles into amino acids again to be reused. Our body is in a constant state of building and breaking down compounds. In our metabolism they are referred to as catabolism which is when matter is broken down to create energy and anabolism which is when the body uses energy to build materials such as building proteins from amino acids and additional compounds. It is during the catabolic process when the acid or alkaline ash is produced. During every step of the metabolic pathway the body is constantly adjusting its pH. When you drink or eat any substance; it has a natural pH value that may be acidic, neutral, or alkaline. 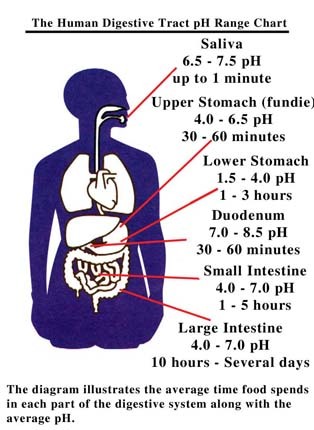 As soon as the food or liquid enter our stomach is empties into a pool of gastric juice, principally of hydrochloric acid and some enzymes etc… At this point the highly acidic environment now changes the pH of what was ingested into an acidic pH. Our stomach lining contains cells that monitor the pH. If it begins to become more alkaline, goblet cells pump acid into the stomach to bring the stomachs environment to the correct pH necessary for proper digestion, so high alkaline water is totally changed by the stomach acid. 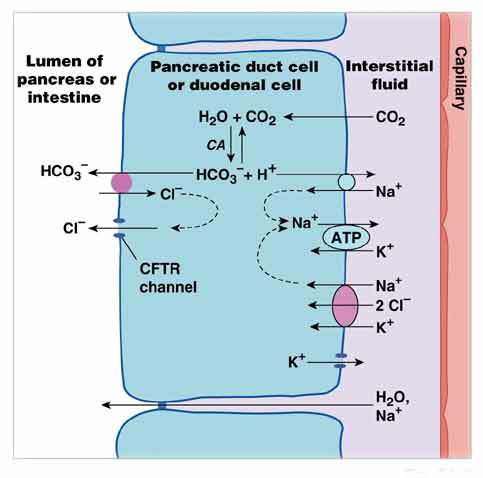 Once the broken down food is ready to leave he stomach, it is squirted a little at a time into our small intestine where the small intestines sensory cells sense a very dangerous acid substance and signal the pancreas to squirt bicarbonate into the intestine to neutralize the pH once again. Alkaline water does not make our bodies more alkaline or more acidic. It’s not this simple, there are many steps in between, but I think you get the picture. Water naturally contains components some of which are good for us such as micronutrients in mineral form and other healthy microorganisms. Water may also contain heavy metals, pesticides, residues from drugs dumped into the water supply, other water soluble harmful chemical compounds and pathogens such as unhealthy bacteria, fungi and viruses. So now we know that it is during catabolism (the burning of foods for energy) that our body’s pH is affected by the ash that is left over. Each food based on its molecular content (compounds) leaves an acidic or alkaline ash. Depending on the totality of the pH effect of our diet our body adjusts our blood pH to a range between 7.35 and 7.45. This is highly critical and the body will do everything possible by mineral insertion to maintain it. If our diet is highly acidic our bodies leach calcium from our bones to neutralize the effects of the acid ash. Colas are highly acidic and it is not the acidic value of the soda that causes the acid effect, it is the molecules in the compounds it is made from. Lemons and apple cider vinegar are both very acidic yet they make our bodies more alkaline. Our bodies get ride of excess acid through cellular respiration where the acid is converted into CO2, carbon dioxide. The principal buffer is bicarbonate which is continually generated as glucose, which is the body’s immediate cellular energy source and calcium which is balanced in our body by magnesium and parathyroid hormone (PTH). This is the primary route of elimination of acids from the body, although the kidneys play a secondary role. The body has a phenomenal filtration system but it is ok to give it some help through simple filters like Brita and Pur, they filter out contaminants but leave other healthy compounds. Eat often from Mother Nature’s Garden of Life. Plant foods when consumed in variety, provides a diet that is about 80% alkaline and 20% acidic. It is considered by many health experts to be the perfect alkaline to acid ratio for optimal health. The best way to alkaline your body is to eat a diet rich in plant foods, drink plenty of free, filtered natural water, remove animal foods and refined and processed foods from your diet, they create an acidic ash in the body when metabolized, and put joy, happiness and relaxation in your life. High alkaline water is also promoted as a way to increase oxygen into our cells. Very simply the only ways to increase oxygen in our cells is through our lungs and our skin. Red blood cells carry oxygen to each cell. When we are fit we increase our body’s oxygen carrying capability by making more red blood cells and by improving their oxygen carrying capability. The layers of our skin are permeable thus allowing oxygen to penetrate and oxygenate the cells in the upper skin layers. The oxygen content in intercellular (outside of the cell) fluid or intracellular (inside the cell) fluid is regulated by the body’s hormones, enzymes, vitamins and mineral status, not the water. Your best bet is to drink purified water that has no contaminates but retains its healthy benefits. If you do use the alkaline/acid water machines I would not drink any water with a pH higher than 7.5 In short I don’t recommend high pH waters from a machine, save your money. (Health.com) — The millions of people who take calcium supplements to strengthen aging bones and ward off osteoporosis may be putting themselves at increased risk of a heart attack, a new study has found. 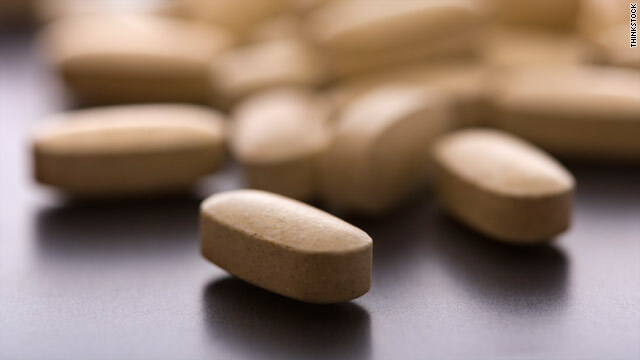 Older people who take at least 500 milligrams of calcium daily–less than the amount in a typical one-a-day calcium pill–are 30 percent more likely to have a heart attack than those who take no calcium at all, the study estimates. Eleven years ago Dr. Michael Kiriac, PhD related to me his findings and solutions about osteoporosis after 15 years of intensive Soviet research. In summary they proved that calcium supplementation did not stopped osteoporosis, and instead was showed to increase osteoarthritis in species inclined or affected with osteoporosis. In those studies it was identified that arterial plaque when present contained over 50% of calcium debris. Furthermore they proved that Bio-Algae Concentrates (BAC), an algae blend, was a solution to osteoporosis and osteoarthritis. 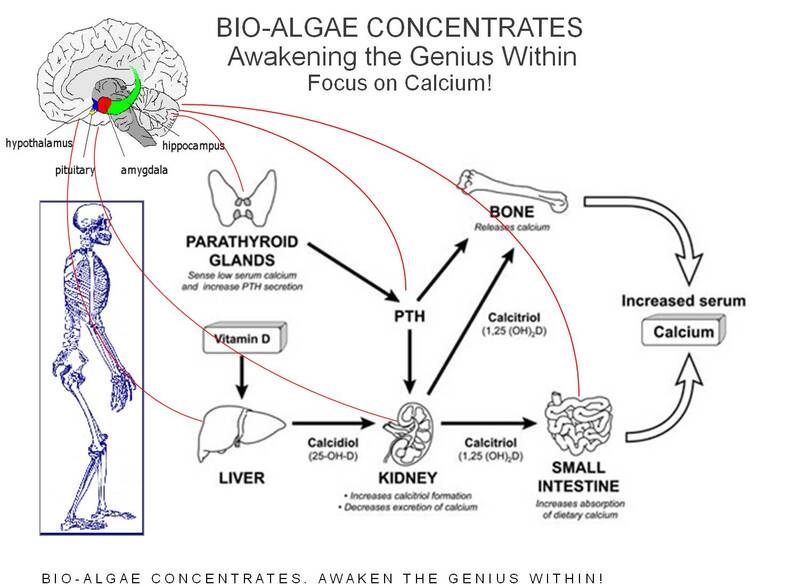 BAC by feeding efficiently the cells of the hypothalamus-pituitary axis cause a nutritional awakening of this important organ responsible for the balance of all our metabolism including that of calcium and vitamin D (see diagram below). Since then, many of my clients have found relief and reversal from osteoporosis right here in America. Read about some of those cases at www.bioage.com.